A Life Well Lived – Madame Nottale – a remarkable woman. Madame Nottale died a few weeks ago. Selfishly I would have loved to spend much more time with her, however at 94 years old she was ready to move on. I feel a deep sense of gratitude for having known such a wonderful human being, whose life was indeed well lived. A recent photograph of Madame Nottale with her daughter Claudia. When Claudia Nottale came to stay with my family in the States in 1978 she was just seventeen years old. I had no idea at the time that she would become a life long friend. In 1984 on one of my trips back to the UK and Europe to visit family and friends, Claudia’s Mother invited me to dinner at her home in Marley le Roi, not too far from Paris. I will always remember the first moment we met. Her warmth and love shone through. So much could be said about her life….Mother of seven remarkable children, nurse, friend to so many, lover of nature and in her latter years when she had time for herself….the brilliance of her painting and writing shone through. 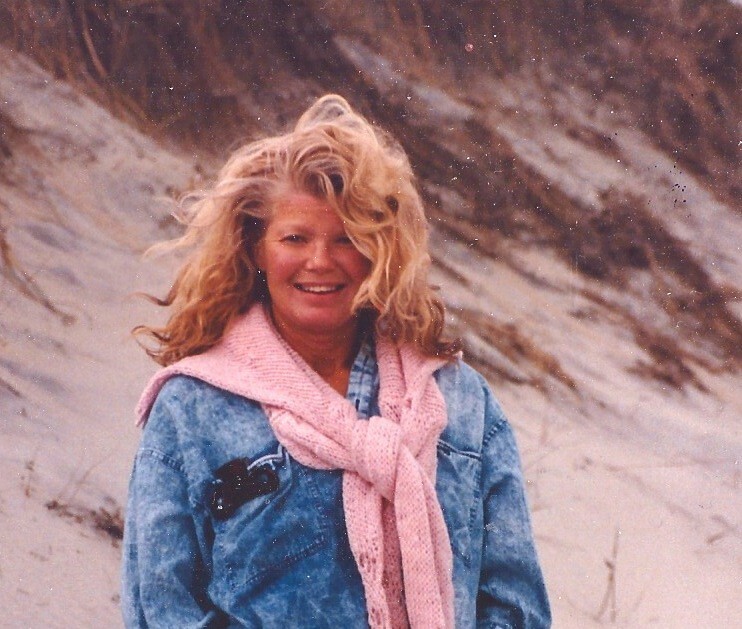 She was a woman who exemplified what it is to live life well. She exhibited great courage and at the same time compassion for others. – I would say that she spent much of her life alleviating suffering in others in tangible ways as a nurse and Mother and in less tangible ways simply by being who she was. For to be in her presence was indeed a beautiful experience. She loved colour and chocolate…….two things we had in common:) During her latter years she painted and wrote every single day. The walls and every other surface in her room were covered in her work. Three years ago, I made this watercolour of her….which I feel demonstrates her letting go of worldly worries and coming home to her true calling…..that of being an artist and writer. ‘There are always flowers for those who want to see them.’ Henri Matisse. Moon, Mountains and Magical hummingbird – inspired by a drawing by Madame Nottale. This entry was posted in Uncategorized and tagged A life well lived, alleviating suffering in others, an artist's heaven, chocolate, compassion, Finding happiness, henri matisse, janet weight reed portraits, love of colour, Madame Annette Nottale, Marley le Roi, moon mountains and magical hummingbirds, spirituality, thomas merton quotes on July 14, 2016 by janetweightreed10. Cats show us how to relax and hang loose……. They have no qualms about cuddling with one another for warmth and comfort…. They are very comfortable in their own skin. 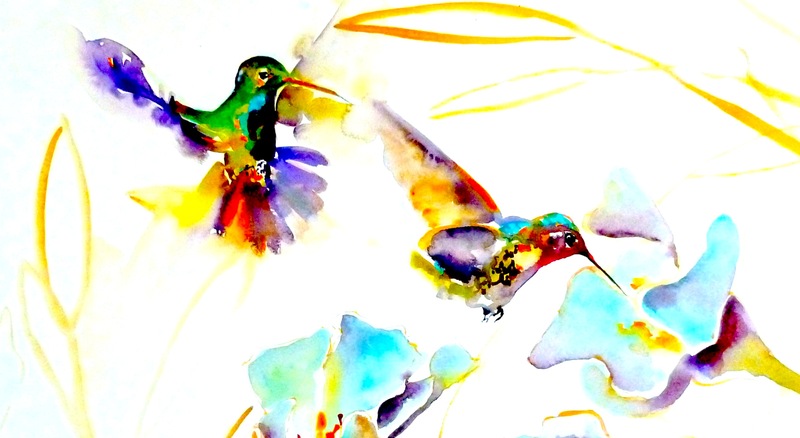 What you see is what you get…..
And dreaming of colourful, magical hummingbirds. This entry was posted in Uncategorized and tagged colourful cats, colourful hummingbirds, http://www.janetweightreed.co.uk, janet weight reed, love of colour, magical hummingbirds, relaxing cats, sun spot cats, watercolour cats on November 7, 2013 by janetweightreed10.